Psalm 91 is one of my favorite psalms that speaks of Almighty God's protection and covering. I love the imagery of this verse in particular. Just imagine for a minute what the psalmist is portraying in this verse... The Most High God covers us with His feathers and protects us with His wings. 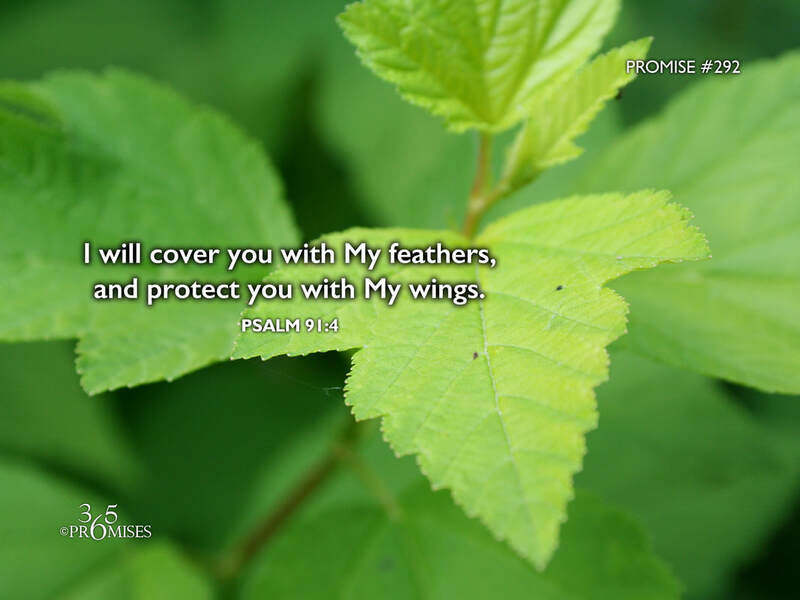 When I think about this promise, I imagine God as a majestic eagle and we are His little chickadees who live in the shelter and safety of His magnificent wings. Nothing can harm us there. We are completely safe and secure. Another picture that comes to my mind when I think of this verse is that of a little child who seeks refuge under their dad's raincoat in the midst of a storm, hanging tightly onto his leg, completely sheltered from the storm. Both pictures bring me a sense of peace and safety and security knowing that God is my refuge and my safe place. This promise does not only paint a nice picture for us, but it declares a spiritual reality that we can live in all the days of our lives. The truth is that we are safe and secure under the protection of our Heavenly Dad's wings... no matter how scary it is outside of His care! May the reality of this promise become more and more real to each and every one of us!